You'll be £12.99 closer to your next £10.00 credit when you purchase Battle Group. What's this? The German army in the Second World War sought to fight and win swift, decisive victories in a succession of short campaigns – blitzkrieg, or lightning war. Flexibility was as essential as the will to win. Battle groups, or shock troops, were created from miscellaneous, and often disparate military units to undertake a specific local operation; it was the army's skill in combining superior numbers, aggressive tactics and the battle group commander's ability to exploit the changing situation on the ground which brought success on the battlefield. The actions described here cover all theatres of the war, and include battle groups large and small, deployed usually to smash a breach in the enemy line or seal off an enemy penetration. It covers operations in the first dynamic years when Wehrmacht forces defeated the armies of one European country after another in fast campaigns, through to the years after Stalingrad and Africa as they moved towards defeat. 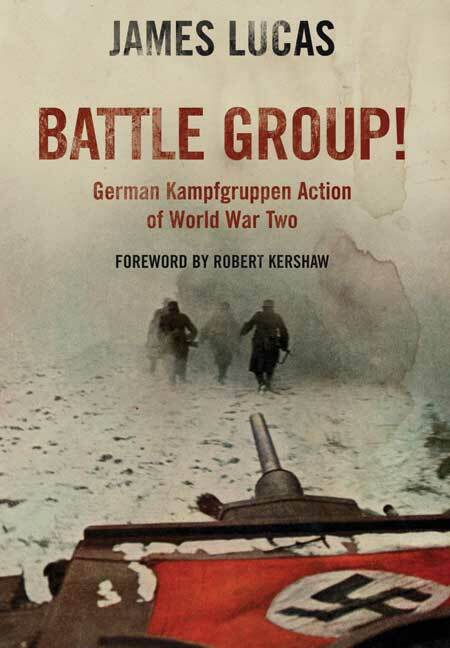 The battle groups' contribution to Wehrmacht fortunes offer powerful lessons in the tactics of battle management and this book by James Lucas, a military historian known for his close studies of the German soldier, is considered to be one of the most detailed and authoritative accounts on the subject.